As the capital of Denmark, Copenhagen is a very vibrant city that truly comes alive this time of year. Known for its strong coffee culture, romantic canals and endless bike paths, this bustling, cosmopolitan city has lots of things to do and see. 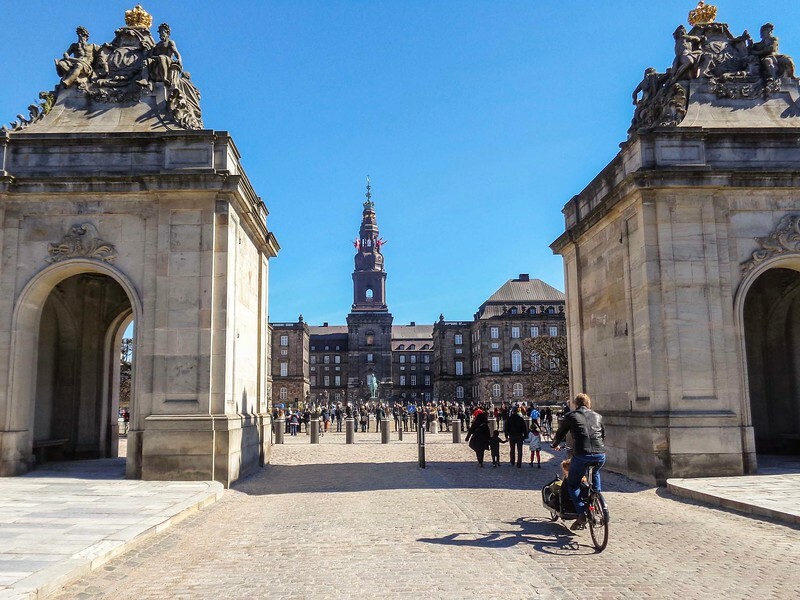 Honestly, you could probably spend various days or even weeks to see all of Copenhagen, but … if you only have a short time to visit, guest contributor David Johnston from Travelsewhere, is here to tell us what to do with just one day in Copenhagen. Sometimes you’ve got to take a chance to visit a place, even if the timing is less than ideal. On my trip through Sweden down to its southern city of Malmö, the opportunity came up to fly out of nearby Copenhagen. With an evening flight, it was easy enough to cross over the Øresund Bridge to the Danish capital in the morning and have half a day in Copenhagen to go sightseeing. Strolling along the canals is a beloved local pasttime in Copenhagen. Now I’m certainly not saying that just a day is the best way to visit this magnificent capital city. You can easily entertain yourself for days in this cosmopolitan destination. But sightseeing with this limited amount of time is going to mean prioritizing attractions and places that can be seen both quickly and cheaply. 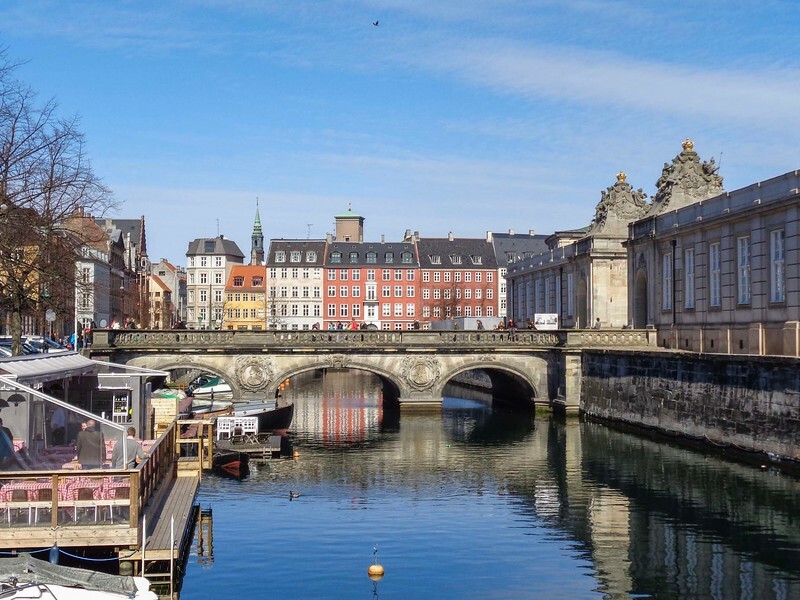 Sure, you will likely miss some of Copenhagen’s main attractions, but isn’t that better than missing the city entirely? Also, you may be surprised how much you can see in just a day in Copenhagen. Don’t miss the wild design of the Dragon Fountain. Just a block from the main train station of Copenhagen, City Hall Square is a great first place to head for. To do so, you’re going to have pass around the famous Tivoli Gardens and potentially several of the city’s museums. With several days in the city, these are certainly spots you’d want to visit but they do take time. Upon reaching City Hall Square, it should become obvious why you’d come here first. In front of you stands several grand brick buildings, each seemingly with its own unique tower. Hard to miss is the golden flourishes across the Copenhagen City Hall, office of Copenhagen’s Lord Mayor. Besides the architecture here, two monuments will surely grab your attention. One is the overly expressive Dragon Fountain, oddly portraying a bull fighting a dragon. The other is the Lurblæserne, a towering sculpture of two men blowing a traditional horn called the lur. Entering the Gates of Christiansborg Palace. A short walk from City Hall Square and a hope across a little canal and you’re in the grounds of the Christiansborg Palace. This colossal building not only packs a lot of history and grandeur, but also quite a bit of modern importance. After all, the palace hosts the National Parliament, Supreme Court and other government and royal institutions. Its history is just as impressive, with the first castle built here in the 12th century. While it is possible to tour parts of the palace, with a half day trip you really only have time to enter through its stately gates into the central courtyard and admire the palace’s elegance. Boats along the harbor of Nyhavn. Without question, one of the prettiest places to visit in Copenhagen has to be colorful canal harbor of Nyhavn. With scores of boats in the small waterway and brightly painted buildings along the waterfront, it makes for a brilliant scene. 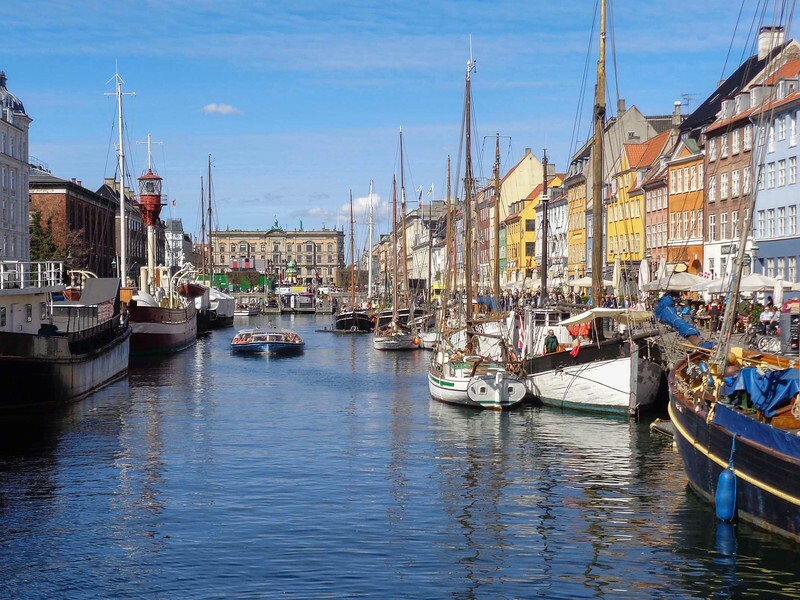 While plenty of boat tours and cruises go out from here, you’re bound to also enjoy Nyhavn when on land, especially if you take the time to stop at one of the many restaurants that line picturesque promenade. A commanders house within the Kastellet grounds. 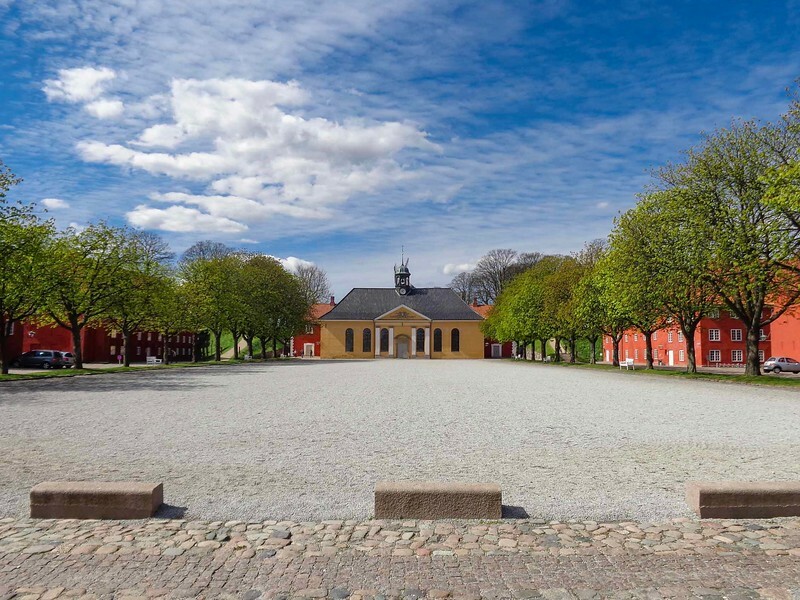 Continuing northeast alongside Copenhagen’s major waterway, you’ll eventually arrive another fantastic sight – the Kastellet. This vast fortress is in the shape of a pointed pentagram or star and nowadays is a historic site home to a huge park. Not only is there a walking track there that follows the citadel walls and surrounding moat, but also a number of heritage buildings that were once barracks and the Commander’s House. Then there’s the Kastelsmøllen windmill that feels perfectly in place for somewhere like Copenhagen. The little mermaid statue has become one of the city’s most beloved landmarks. Between the Kastellet and Copenhagen’s waterways runs the narrow Langelinie waterfront promenade. It can be a little surprising when you realize just how much there is to see along this small waterfront strip. 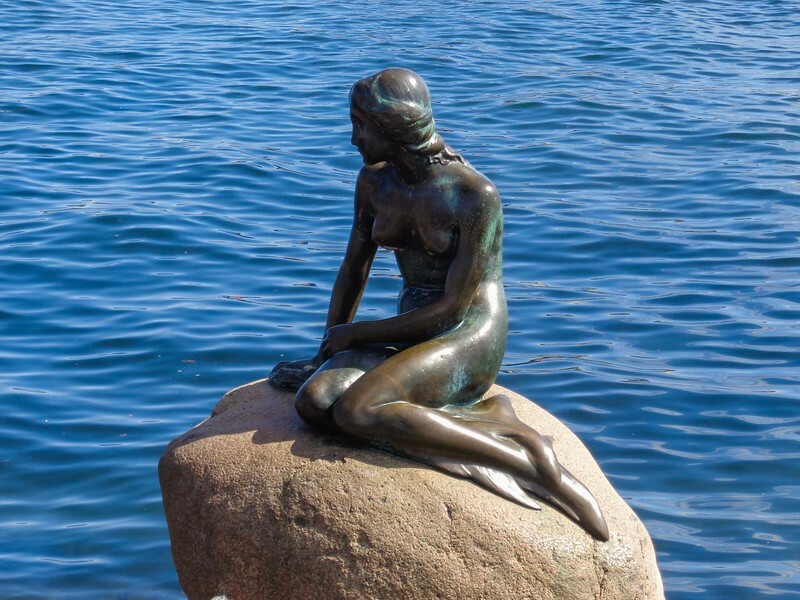 Upon leaving the citadel’s northern gate, you’ll find yourself right by one of Copenhagen’s most famous attractions – The Little Mermaid. This small bronze statue of the well-known fairytale character pulls in hordes of tourists who all want their photo with the famous statue. 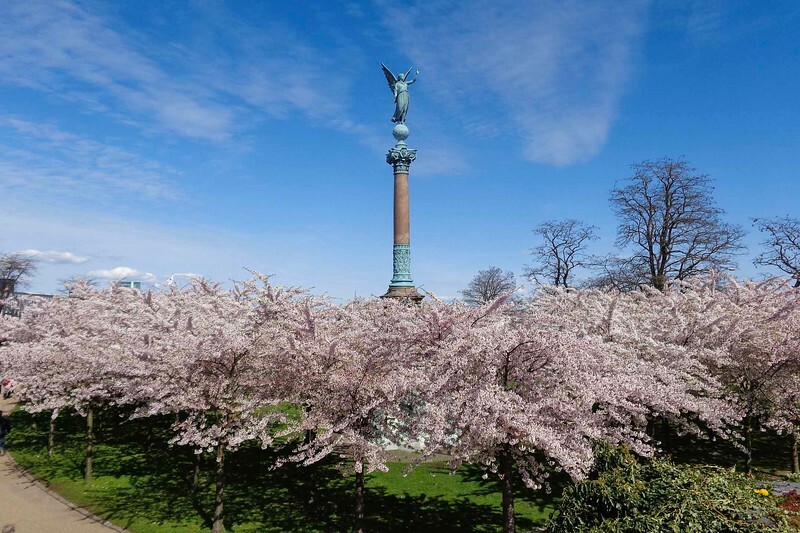 If you’re in Copenhagen in springtime, make sure to check out the cherry blossoms in Langelinie Park. But there are other sights to the Langelinie as well. One that really stuck with me was the Angel of Peace statue in Langelinie Park, because of all the trees blossoming with the arrival of spring. If you time it right, Copenhagen may be at its most beautiful when spring comes to town. The other spot you shouldn’t miss is the pairing of the Gefion Fountain and St Alban’s Church, which together make for quite a pretty spot. View from Amalienborg Palace Square to Frederik’s Church. 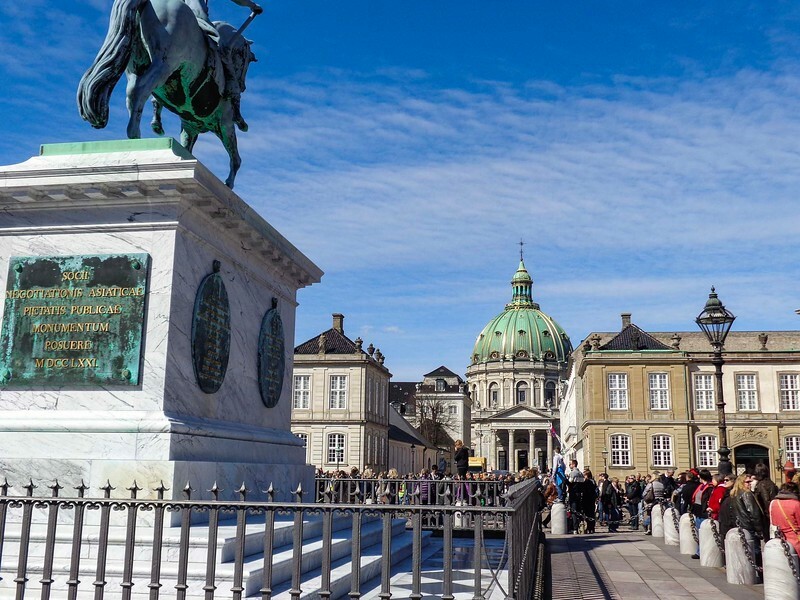 Returning back the way you came earlier will bring you through to another great sightseeing spot in the Amalienborg Palace Square. This circle is surrounded on four sides by different palace buildings of the Amalienborg Palace Complex, all centered around a statue of King Frederik V. Besides the royal palaces here, you also get a nice view from the square of the nearby domed Frederik’s Church and its design atypical of Copenhagen. My interest in the square came from seeing crowds and crowds of people there, apparently waiting to see the royal family from a balcony as it happened to be the Queen’s birthday that day. 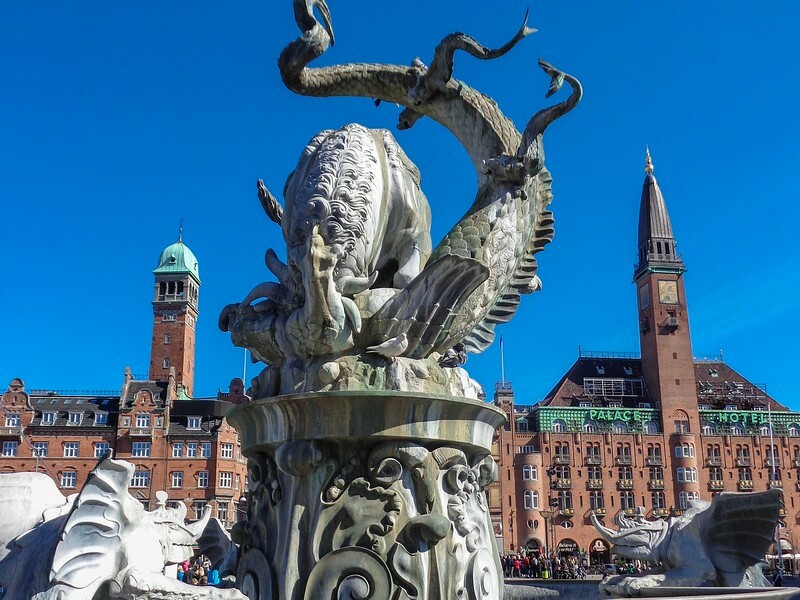 It’s no surprise that you can’t hope to see all of Copenhagen in half a day. Even given how much I saw, there were plenty more well-known attractions that I missed with my visit. That’s to be expected though of course. 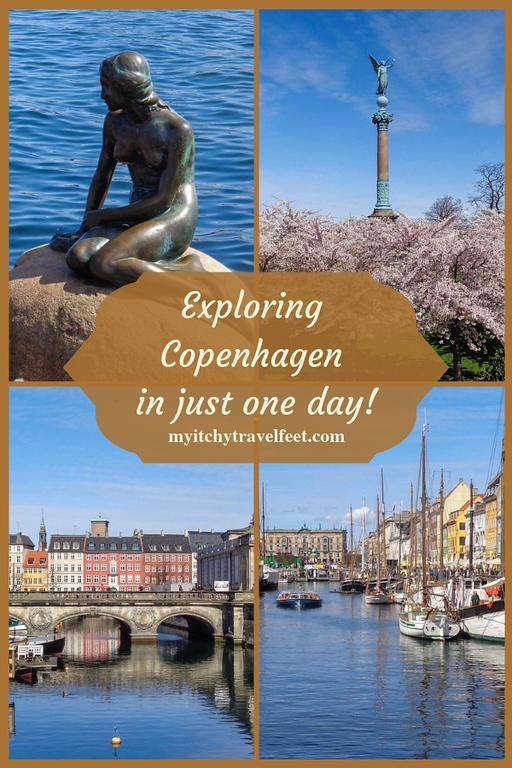 With more time in Copenhagen, I know exactly the places and activities I’d want to add to an itinerary there. One would have to be the Tivoli Amusement Park, the vast park and fairground just across from the Copenhagen train station. The second oldest operating amusement park in the world, it’s said to be quite magical come winter. Then there are all the palaces, castles and museums that you could spend days moving between. Rosenborg Castle in particular, with its architecture and museum would easily be a necessary inclusion next time. Other museums for fine art and cultural exhibitions with fantastic word of mouth include the National Museum of Denmark and the Ny Carlsberg Glyptotek. In recent years, Copenhagen has become quite famous as a foodie destination, again something you can’t really experience in a single meal. While there are many Michelin star and highly lauded restaurants, the Torvehallerne food market seems more my speed with its different stalls and smørrebrød.